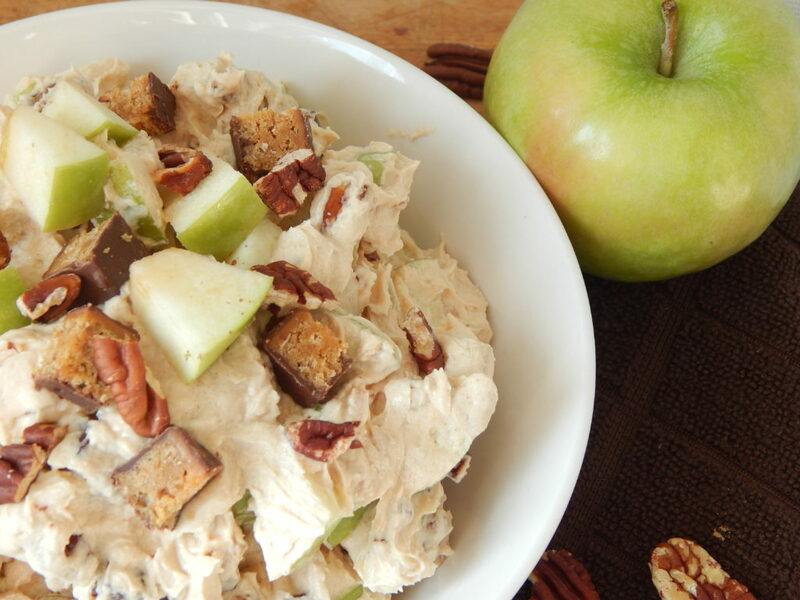 This chocolate peanut butter apple salad is the perfect afternoon treat! 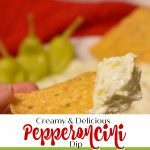 It is packed with healthy ingredients and an amazing creamy crunchy texture that is sure to satisfy! Plus the recipe is super simple!! My day usually starts around 6am. When super hubby’s alarm goes off, I’m awake. My morning is filled with working on things for the blog, laundry, breakfast and then school work. In the afternoons we run errands, have activities with friends… whatever is on the calendar. Basically, my day looks a lot like other busy moms!! Lots of running, lots of juggling, lots of life! And all that life takes a lot of energy. Usually, in the afternoon I’m looking for a snack. That’s the time I want something to munch on, and a lot of times my sweet tooth kicks in. Even though I’d love to grab some cookies or even a candy bar I try really hard to make healthier choices!! 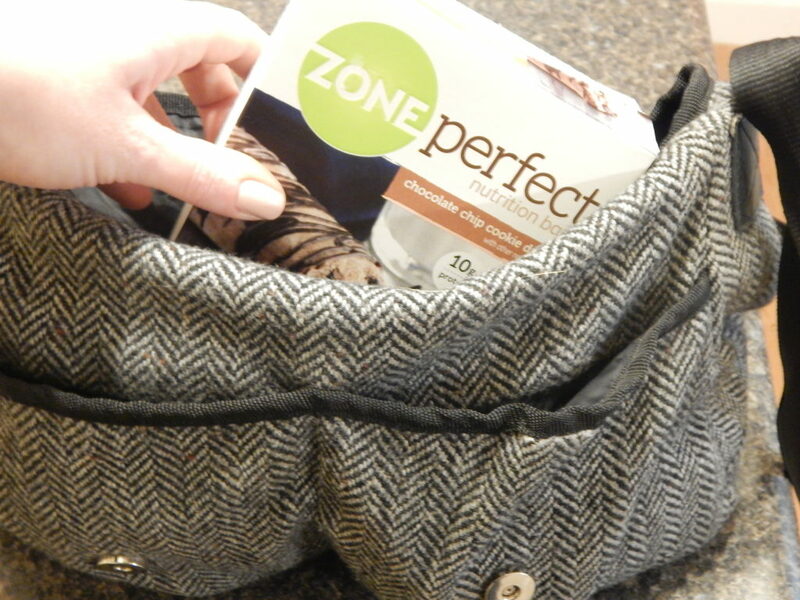 Enter in ZonePerfect Nutrition bars. 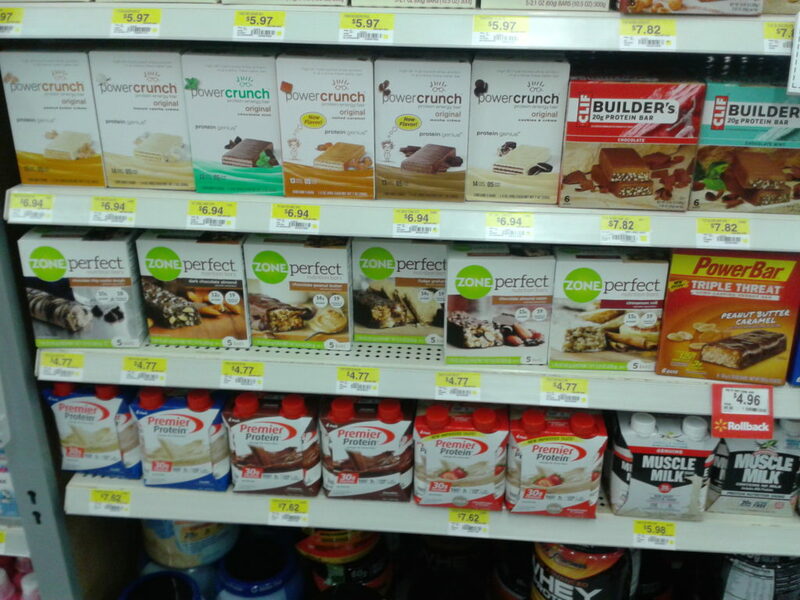 I discovered these one day when I was buying protein powder for the teenager. The variety of flavors jumped out at me, chocolate chip cookie dough, fudge graham, cinnamon roll… what isn’t there to like? The only bad thing was trying to make a decision on what flavors to try! I picked up a box and looked at the ingredients and figured I’d give them a try. Boy am I glad I did. Now I’ve tried several different brands of healthier bars in my quest for a healthy snack option, and these are by far the best! They have a great texture and a super satisfying flavor! 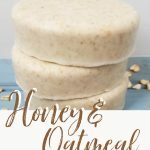 They are a healthier option for my sweet tooth, forget the candy bar or cookies, these have protein, fiber, vitamins and minerals, and are the perfect pick me up for the second half of my day trying to be super mom! I have even taken to popping a box of them in my purse for days when I know we’re going to be running around all afternoon. What is worse than grocery shopping hungry? Or, have you ever had something like a Dr.’s appointment you think will take an hour and it takes 3?? These are awesome to have with you for those crazy days or unexpected long afternoons! While these are delicious plain (the chocolate chip cookie dough ones are like nougat with chocolate chips… super satisfying!!) 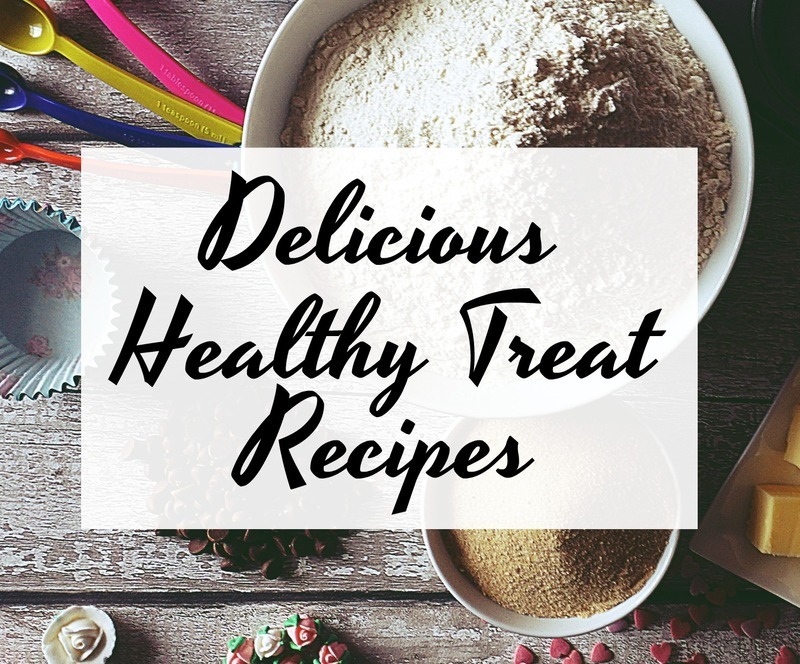 I always like to dress things up a little, and take healthier ingredients and make delicious treats with them. So I came up with this amazing chocolate peanut butter apple salad! This is seriously my new favorite snack! I make it, fully intending to share it with my family… but well… maybe I should start doubling it! 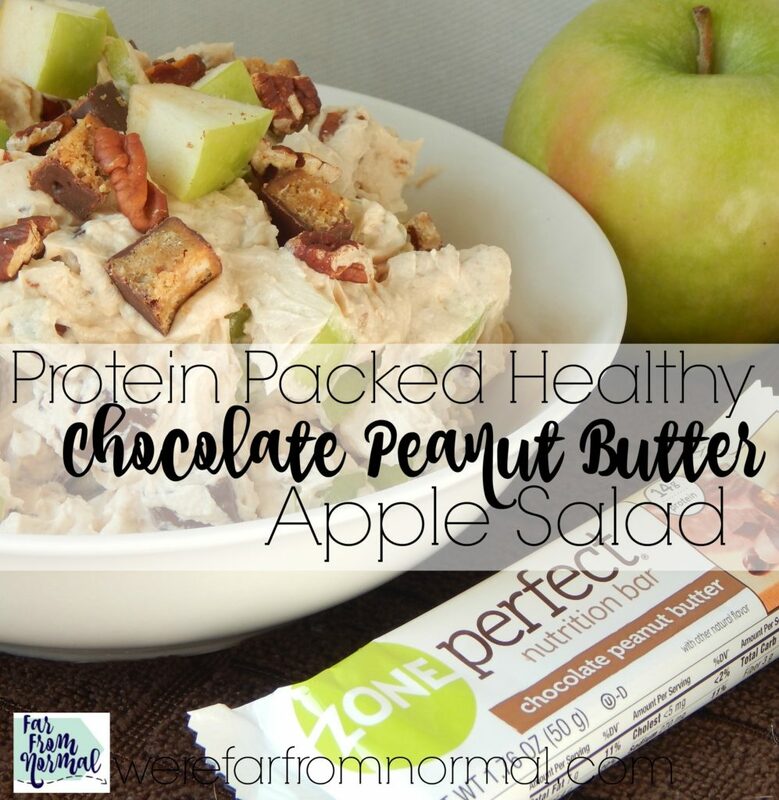 It is perfect, crunchy, creamy, sweet… all the taste you want and since it’s made with the ZonePerfect bars and Greek yogurt it is full of energy sustaining protein! There is no added sugar, just wholesome healthier ingredients that will satisfy your sweet tooth and give you the boost you need to be your best through the afternoon, dinner, and bedtime! 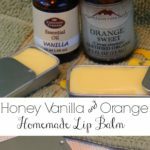 It comes together with just a couple of minutes of chopping and stirring, perfect for busy days! 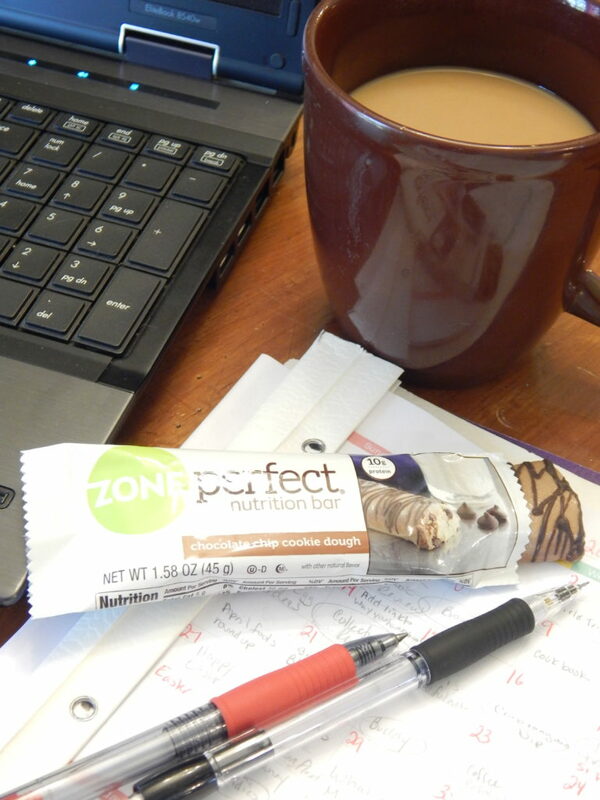 The first thing you’ll want to do is chop your apple and ZonePerfect bar into small bite size pieces. Next coarsely chop your pecans. 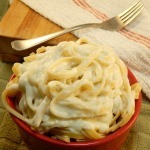 In a large bowl mix together your Greek yogurt and peanut butter and stir until well incorporated. If you want to add a little more sweetness you can drizzle in some honey. Just add a little at a time you don’t want it to be too sweet. Now add in your chopped apple, pecans and ZonePerfect bar and mix until everything is well coated. That’s it! It’s ready to enjoy! 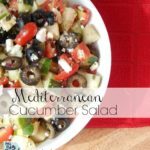 It keeps really well in the fridge in an air tight container so you can whip some up in advance or to take with you to work or anywhere! 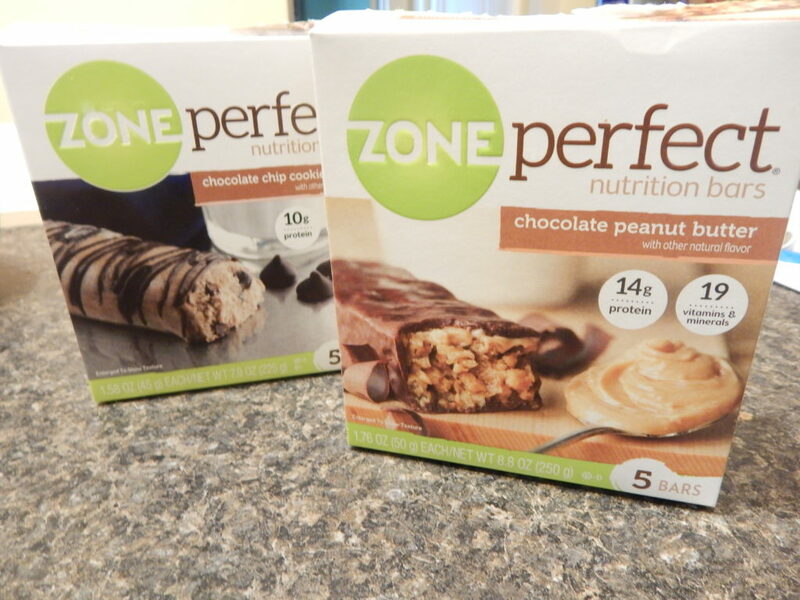 Be sure to check out all the awesome flavors ZonePerfect has to offer! They’ll become your new favorite snack! 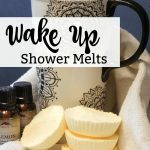 What is your favorite afternoon pick me up? I’d love to hear how you get your second wind each day! I have never heard of Zone bars before but they look really tasty in your Apple Salad. 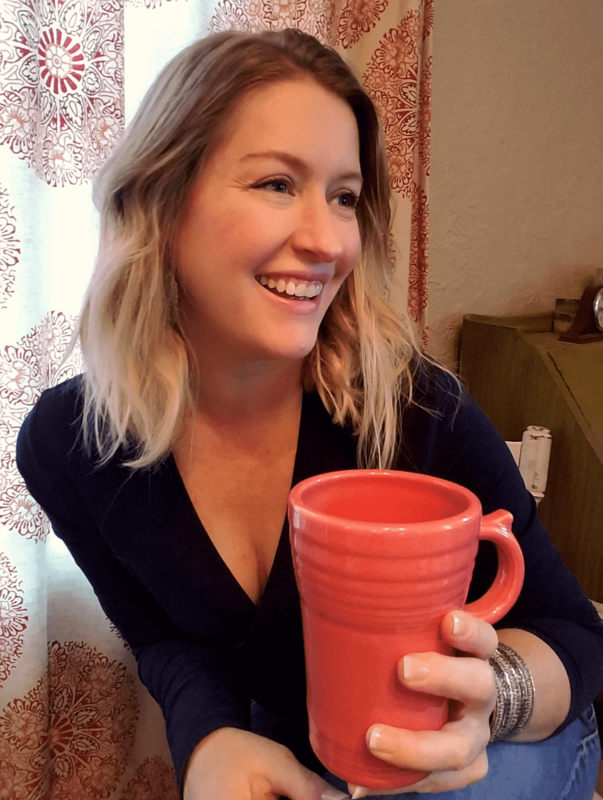 Thank you for sharing it with us at Talented Tuesday Link Party. I pinned your recipe. it looks too good not to share! I’m excited because we’re blog twins today. And you used the bars IN your recipe, while my post is pairings. I love that. I’ll try this! We have a few boxes of ZonePerfect here because I love them.